Features – System role allowing management of data to/from company payroll file. The admin role is also responsible for all system setting such as overtime settings, timesheet period and notifications settings. Charge Codes – charge codes (Customer, Job & Service Items) imported from accounting systems such as QuickBooks can be associated to an individual employee which result in limiting what the employee can charge to on a timesheet. All associations have an Effective Start Date and Effective End Date. These date define when users are able to charge to associated codes. Leave Setup – system allows user to create leave types. Once created, leave types are associated to pay types which have been imported from the accounting system. All leave types have an Effective Start Date and Effective End Date. These date define when users are able to charge to associated leave. Pay Types – Payroll Items imported from accounting systems such as QuickBooks can be associated to an individual employee. This mapping will define what payroll items are exported to payroll. All associations have an Effective Start Date and Effective End Date. These date define when users are able to charge to associated codes. 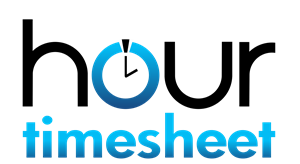 Timesheet Settings – page includes timesheet type, overtime settings, timesheet start day as well as a check box for requiring reasons for late timesheet entry. Notify Employee when Supervisor/Admin approves timesheet with signature or without. Notify employee when Supervisor/Admin rejects timesheet. Notify Supervisor/Admin when employee submits timesheet for review. Notify Supervisor/Admin when employee un-submits timesheet. Notify Admin/Supervisor/Accountant/Employee when timesheet correction is created. Group – used in Hour Timesheet to structure employees. Employees may belong to more than one group. Groups are not required. Each groups can be associated with one or many supervisors and accountants. The following elements use the group structure (when present).